On May 31 China’s State Council met to discuss a report on the long-term future of nuclear energy in China. The meeting ended without an agreement, although tentative recommendations are being circulated for further review and discussion. Immediately following the accident at Fukushima, Premier Wen Jiabao announced a suspension of China’s expansion plans, ordered a comprehensive safety review of all existing plants and those under construction, as well as a freeze on new construction and applications for new plants. 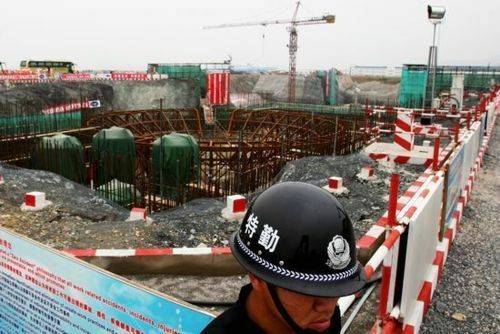 In February of this year, the Standing Committee of the State Council heard a report on the 9-month long safety review that looked at human, geological, hydrological and other safety factors at 41 nuclear sites, including operating reactors, plants under construction, three sites about to begin construction, civilian research reactors, and nuclear fuel production facilities. The report concluded that China’s currently operating nuclear facilities “fundamentally satisfy IAEA and Chinese domestic standards” for safe operation. There were, however, problems with the ability of some facilities to cope with floods, earthquakes and other major natural disasters, as well as irregularities with accident preparedness procedures and equipment, which plant operators were required to address. Chinese nuclear industry representatives interviewed after the May 31 meeting said they were hoping for a 2020 planning target of 80 GWe but were told that was excessive, given the state of the political leadership’s concerns about the safety of nuclear energy at this time. It also appears possible that no new nuclear plants will be constructed before 2020 in the less developed ”interior regions” of China. One Chinese nuclear energy official estimated the possibility as “close to zero”. All new nuclear plant construction will be confined to the more highly developed coastal areas. If true, this would be a major change in Chinese nuclear energy policy.